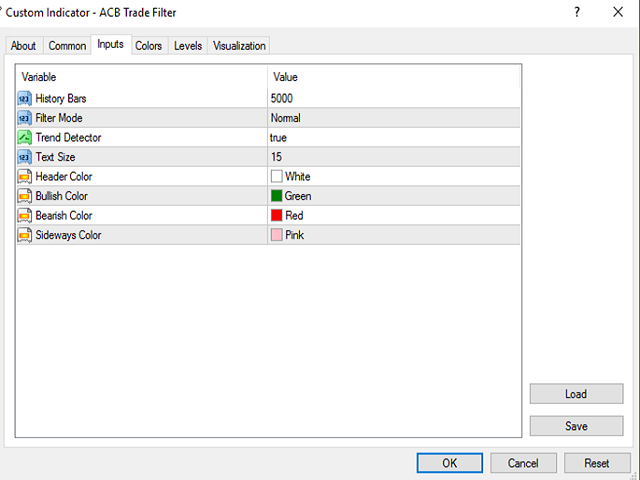 The ACB Trade Filter indicator provides a solution for filtering out the low probability trading setups in a trading strategy. The indicator uses a sophisticated filtration algorithm based on the market sentiment and trend. 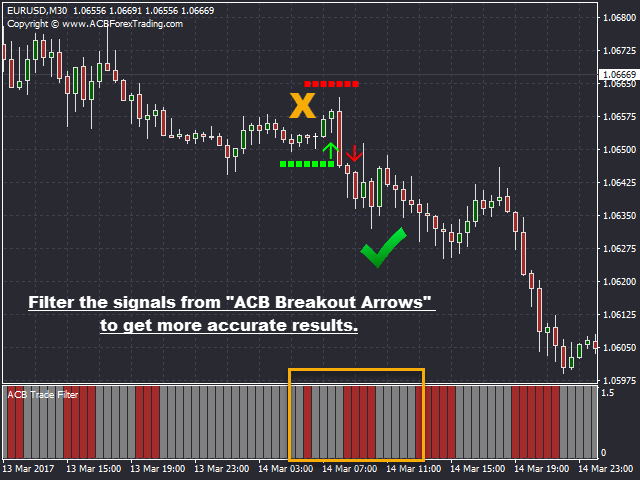 Works great with our indicator "ACB Breakout Arrows". Filter out low probability signals from any indicator. Avoid overtrading and minimize the losses. Trade in the direction of market sentiment and trend. Avoid the choppiness in the market. 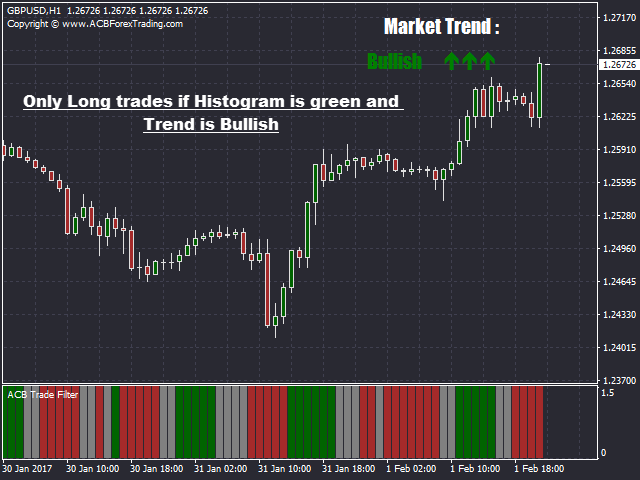 Only Long Trades if Histogram is green and Trend is bullish. 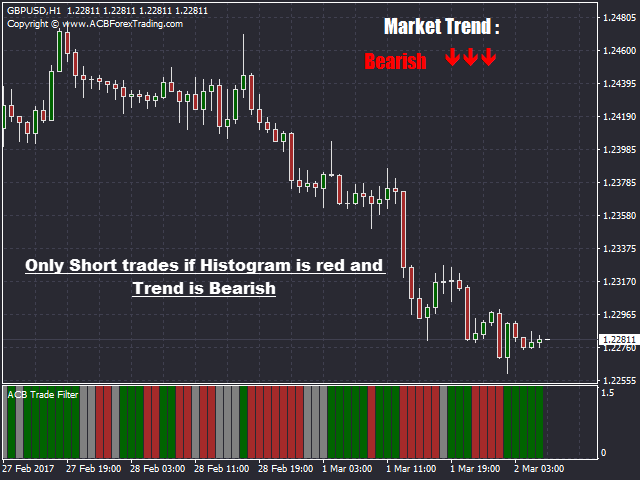 Only Short Trades if Histogram is red and Trend is bearish. 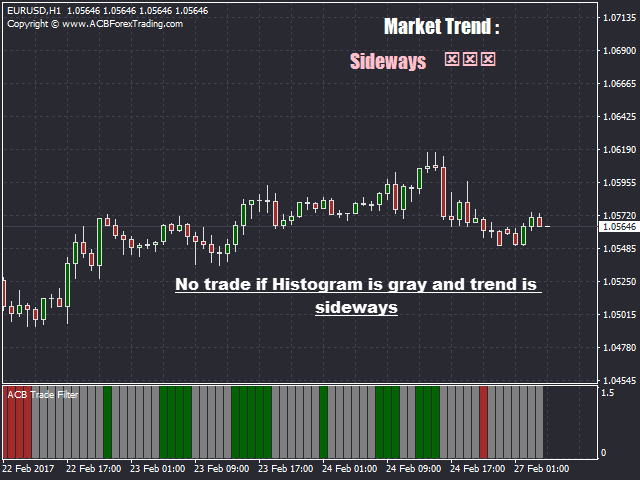 Avoid trading if the Histogram is gray or Trend is sideways. History Bars: The no. of bars on the chart to consider for indicator's data and calculation. Filter mode: Normal filtration or Hard filtration. Trend Detector: Show/Hide the trend direction. Trend_Corner: Chart corner to display the trend direction. Use the following code to import this indicator into your EA. A must have indicator to filter out bad signals from any entry indicator specially the ACB Breakout Arrows. Fantastic trade filter. I combine it with my breakout indicator with support resistance and keeps me out of sideways or wrong direction. Thank you! 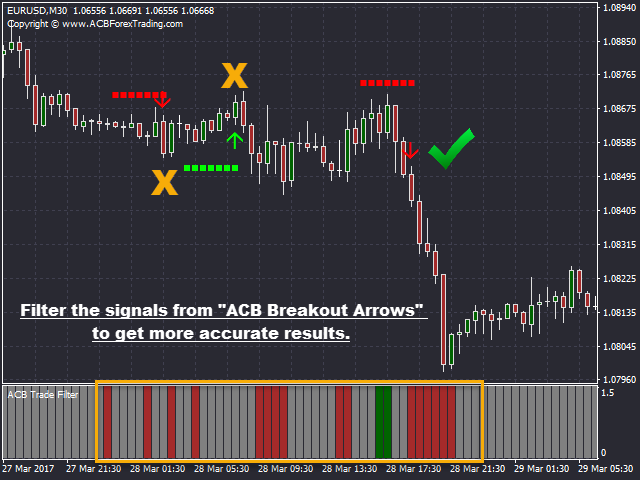 Great indicator, and together with acb breakout arrows a profitable combination. Amazing results when combined with ACB Breakout Arrows. set on hard filter and follow the rule. - made some changes in the display text. - The trend is now accessible through indicator's buffer. - Possible to change the location(corner) of trend information. - Added alerts to notify a change in the trend direction.